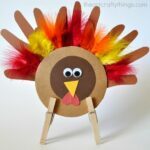 We went on an excursion in the mountains last week and on our drive down the mountain we saw wild turkeys. It was so fun! We couldn’t help but pull over and oogle at them. 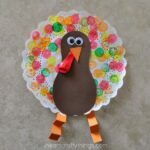 It made us think about one of our family’s favorite holidays, Thanksgiving. 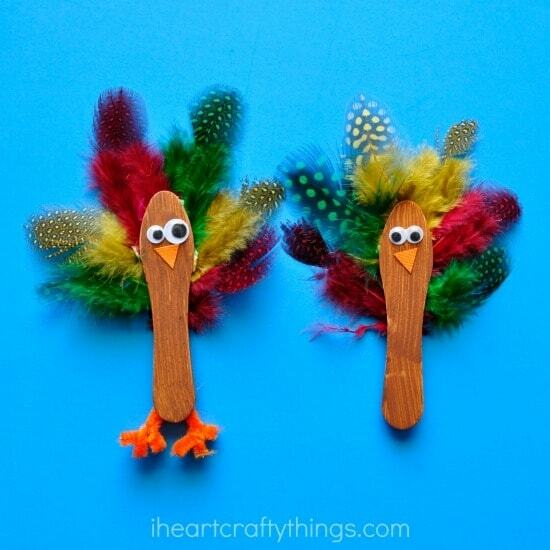 Here is a super simple scoop stick turkey craft for kids that will get your heart bursting with excitement for Thanksgiving to hurry and get here! 1. Start by painting your scoop stick with brown paint. Let it dry completely. 2. 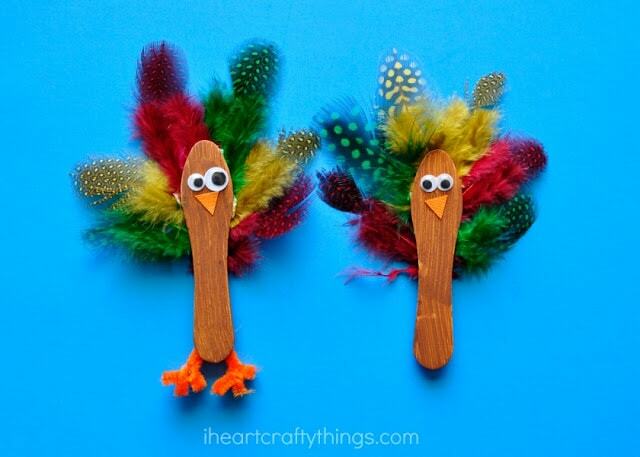 Put glue on the back of the scoop stick at the top and add colorful feathers. 3. 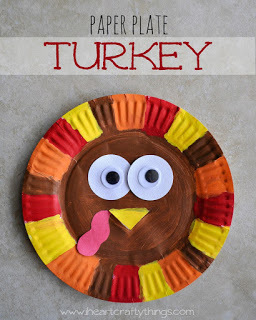 Turn the scoop stick over and glue on your googly eyes and a beak cut out of your orange cardstock paper. 4. 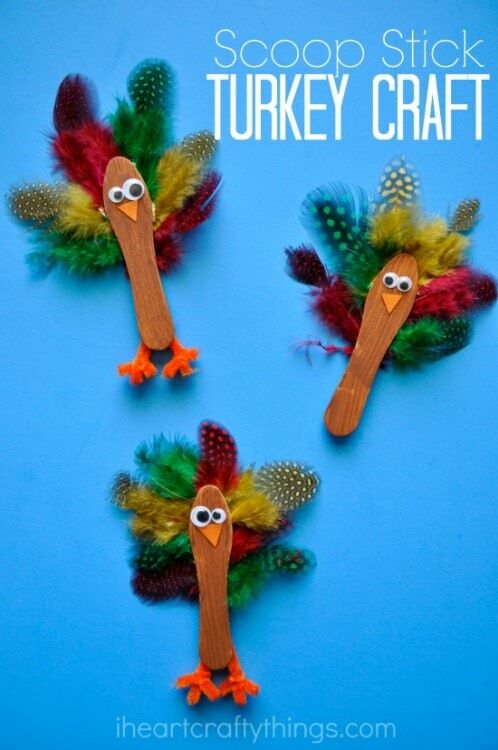 As an option, make little turkey feet out of an orange pipe cleaner and glue them onto the back of the scoop stick. 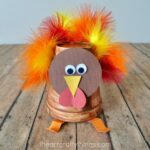 You’ll want to let your turkey sit and dry completely before playing with it, especially if you added the little turkey feet.